Ever wonder what an $109,000 bag looks like? Wonder no more. This bag is from the Asprey Private Collection with the designs headed up by accessories designer Katie Hillier. Forty one pieces were made specifically for clientele that "...are looking for a piece of art". 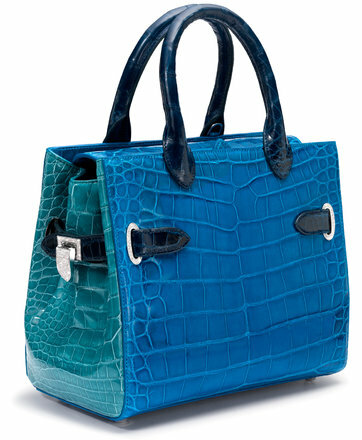 This particular bag is the Darcy Square in blue orchid and topaz crocodile with 848 diamonds set in white gold. That explains it!